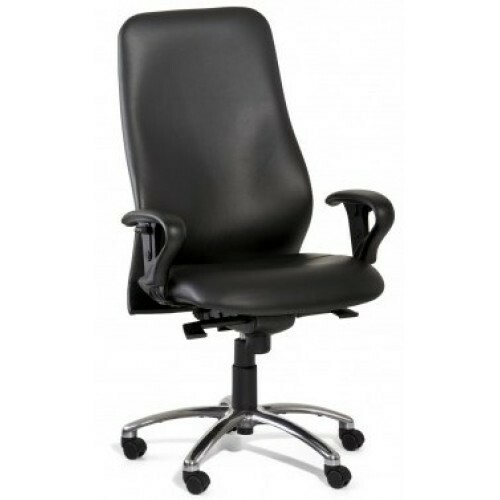 The KAB Executive is a high-quality, ergonomic chair designed for larger users requiring a chair for 24/7 operations. The main difference between the Executive and other KAB chairs is that the seat offers wider than usual cushions for increased support. When working for long periods of time in an office chair, comfort should never be compromised. The KAB Executive will ensure all your comfort needs are met thanks to inflatable air lumbar support that is incorporated into the design. The chair reduces muscle tension by allowing you to adjust a variety of settings to improve circulation. You can raise or lower the armrests to best suit your working location. The KAB Executive has been AFRDI Level 6 Certified and comes with a 5-year warranty.